Anna Bigdan was born in Kharkiv, in the family of a military officer. In the 1990’s, her father was sent to serve in the Arkhangelsk oblast’ where she grew-up and finished her schooling. From the age of 15, she fulfilled an obedience in the church choir. In 2008 she completed her Bachelor Degree in the Kursk Spiritual Seminary majoring in Choir-conducting and ‘Psalomshik”. Anna worked as the choir director of the St. George church in Kursk and as the Deputy President of the “Korrenaya Pustin” Fund. She attended the first international “Youth Fellowship Conference” and later worked in its org-committee. From 2009 Anna lives in Brisbane. 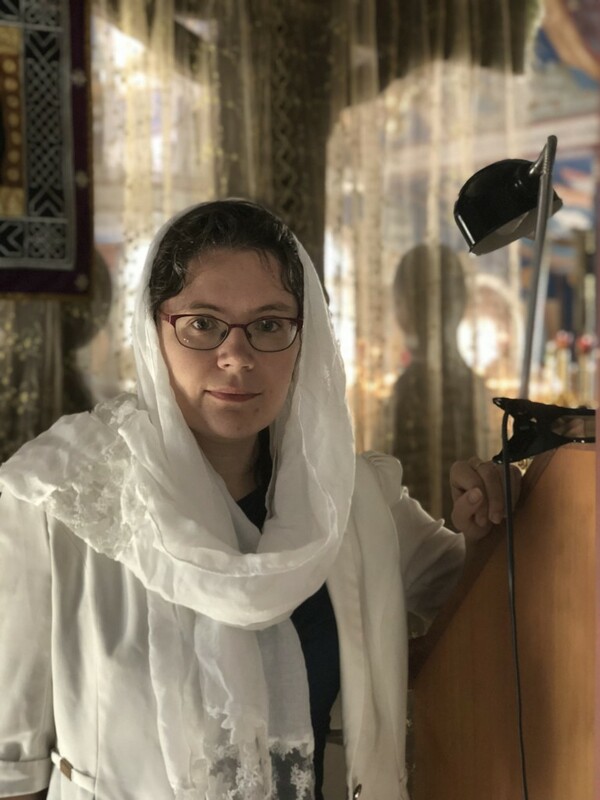 She is married to deacon Vladimir Bigdan and from 2017 she fulfills her obedience as the choir director of the St Nicholas Cathedral while raising two children.